This paper is an excerpt from the Introduction to The Vihara of Compassion: Buddhist Care for the Dying and Bereaved, which will be published in late 2012 by Wisdom Publications (USA). It brings together 5 years of research on Buddhist initiatives in hospice care, death and dying and Buddhist chaplaincy in East Asia, South East Asia, Europe, and the United States. Buddhist understandings of death and practices developed for dying persons and the moment of death have been hallmarks of the tradition since its beginning in India 2,500 years ago. Over the last forty years, they have been an important part of the global revival of Buddhism, especially in the West?from the popularization of the Tibetan Book of the Dead to Zen poetry about death to Theravadan meditation on the decaying body to belief in welcoming Amida Buddha on one?s deathbed. Buddhist based initiatives for caring for dying and bereaved persons through developing trained professionals and building facilities that have mushroomed since the late 1980s. When speaking of ?hospice,? one is drawn back to its Christian origins in 11th century Europe; Mother Mary Aikenhead (1787-1858), the Irish nun, and the Religious Sisters of Charity who created the modern hospice archetype; and Dame Cicely Saunders, the Anglican nurse who founded the first modern hospice, St. Christopher’s Hospice, in London in 1967. Saunders has had a major impact on the Buddhist hospice movement around the world. At the same time, the Buddhist hospice movement marks a recovery of these aforementioned practices of Buddhism towards death and their application in new, modern conditions and societies. Indeed, the Vihara Movement in Japan has consciously named itself using the traditional and ancient Buddhist term for temple, vihara. Like the term ?hospice,? vihara has also had the meaning of a place for travelers to rest in addition to a place that might offer social welfare and medical care for the poor. According to Chinese Buddhist canonical sources, the famous Jetavana Vihara established by the historical Buddha himself eventually developed into a comprehensive center for spiritual, economic, and medical care. The great Indian monarch, Ashoka (r. 270-232 BC), who is credited with first unifying the Indian subcontinent under one rule, was known to have promoted developing herbal medicine and dispensaries through Buddhist temples. This tradition established in India eventually spread throughout the Buddhist world. 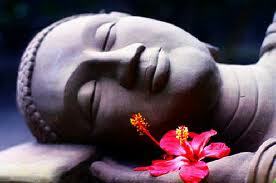 The historical Buddha offers an original template for the role of the Buddhist caregiver as the ?Great Physician?. There are numerous examples of the Buddha and his close disciples guiding both ordained persons and lay persons through painful physical illnesses to illumination on their death beds. These stories serve as the primary Buddhist template for dying persons to have a monk as a deathbed counselor (Skt. kalyanamitra). In this book, we have culled some of the best and most inspired examples of Buddhist care for dying and bereaved persons from all over the world, covering the entire Buddhist tradition with essays from the Theravada tradition in Thailand and Cambodia; the Tibetan tradition in the Rigpa Spiritual Care Program, which functions primarily in Europe and the United States; the East Asian Mahayana tradition in Taiwan; and the Lotus Sutra, Pure Land, and Zen traditions in both Japan and the United States. The original Buddhist emphasis is on the importance of having a calm and meditative mental state at the time of death. This is important not only in terms of the soteriological import of the future transmigration of the consciousness, but also more simply in terms of having a ?good death? that is filled with peace rather than struggle and angst. In this way, open mourning and the disturbing or moving the corpse for a period after death should not be done. This type of orientation leads to much stricter, disciplined, and formalized forms of dying where a religious professional, usually a monk or nun, is employed to support the dying person as a guide to achieving a peaceful and ?good death?. In terms of the modern initiatives in this book, this orientation expresses itself with an emphasis on highly trained religious professionals called chaplains who understand how to properly handle the issues that arise not only for the dying person, but for their families and care givers as well. This orientation may also express itself in more specifically Buddhist stylized facilities. The other orientation in Buddhism views intention?enlightened intention is one of the practices of the Noble Eightfold Path?as the fulcrum for karmic action and the eventual transmigration of the consciousness. This type of orientation has led certain Buddhists to promote organ donation as an act of bodhisattvic compassion, based in an enlightened intention that would override any disturbances to the consciousness of the deceased. In terms of care for the dying and bereaved, this type of orientation, which emphasizes intention over form, dovetails with the modern hospice movement?s emphasis on presence and compassionate listening by the caregiver. The professional chaplaincy movement also emphasizes this point for the chaplain not to impose their religious vision on the patient, but rather acting as a facilitator for the patient to discover their own spirituality. This orientation also does not attach to the concept of a ?good death,? although it may still be hoped for. In practical terms, initiatives that emphasize this orientation eschew the use of chaplains and instead rely on volunteers who have varying levels of training. These two tensions co-exist among the initiatives in this volume in that many authors feel it is not possible and often counter productive to teach new spiritual orientations or practices, especially meditation, to people who are dying. On the other hand, many of the authors in this volume concur that those who have developed spiritual orientations before becoming ill seem to have better deaths. One of the more surprising results of studying these initiatives then is that we find an emphasis on developing a strong and committed Buddhist practice more for the caregiver than for the patient. Examples of learning about self care range from Zen volunteers in San Francisco who meditate together to German and American medical professionals with Christian or secular orientations who learn Buddhist self care methods from the Rigpa and Upaya programs to ordained Buddhist chaplains in Taiwan and the United States who must internalize their seminary educations through practice as interns. A common perspective and point of emphasis is the need to receive proper training in spiritual competencies that will sustain the intense work of ?being with dying.? ?Informed Consent? and ?Truth Telling? are curious, specialist terms developed by the modern medical system. The former refers to the process of medical professionals, usually the head doctor, informing a patient of the particulars of their medical situation, in short, their diagnosis. The latter refers to the process of the doctor informing the patient of the outlook for improving or perhaps the inevitably of their death, in short, their prognosis. In the present era, a bias has developed that Asian societies, especially among conservative Buddhist in East Asia that deeply value collectively, do not agree with these two concepts and that they reflect Western notions of individual autonomy. What the variety of chapters in this volume expose is that the kind of denial of death that has lead to tragic forms of silence concerning the informing of patients of their condition and impending death, especially in Japan, appears to be more of the result of the culture of modernism than an inherent predisposition in Asian culture to collectivity and silence. Caroline Brazier shows in her chapter that a culture of silence around death developed in Britain from the trauma of mass death during the two world wars, the development of modern psychology based on Freud?s admonition to ?forget the dead,? and the scientific materialism prevalent in modern medicine that sees death as defeat. In terms of achieving a ?good death? and following many of the meaningful Buddhist practices surrounding death as outlined above, the path towards this direction is completely shut off if the fundamental step of acknowledging death is not taken by care givers, families, or patients. However, if a patient is told of their terminal prognosis but then are left to cope by themselves without a supportive family or care giver structure, then such ?truth telling? can be devastating. In this way, many of the initiatives in this book show how to build communities of care around patients and their families. Besides cultural issues, one of the causes of the lack of informed consent and especially truth telling is the fact that modern medical doctors are poorly trained in interpersonal communication skills. In response, both the Upaya Being with Dying Program and the Rigpa Spiritual Care Program have specific teaching components for developing the interpersonal communication skills of medical care professionals. On the other hand, we find a perhaps more shocking revelation throughout the chapters that religious professionals have equally poor communication skills. Transforming this problem was the core motivation of Congregationalist minister Rev. Anton T. Boisen to create the first Clinical Pastoral Education (CPE) programs for developing chaplains in the United States in the 1920s. Generally, in the Buddhist world, monastic education often makes monks into preachers more than listeners and compassionate companions?the root meaning of the term kalyanamitra. Cultivating Buddhist chaplains is an important theme running through many of the chapters, whether they are certified religions professionals (ordained monks and nuns) or lay volunteers. Many of the authors note the great challenges experienced by chaplains in such training: first, in terms of adapting to the intense demands of medical environments, and second, in terms of learning how to bring their still intellectual knowledge of spirituality down into the heart as a practical and engaged way of relating to people. One significant difference from the chaplaincy model over the volunteer model is that chaplains usually work as paid professionals in medical institutions and have a wider range of skilled responsibilities, such as ethics work as part of a team of professional clinicians in the hospital, work with the community, and nurturing the spiritual health of the medical organization itself. Rev. Julie Hanada has remarked that in her experience chaplains may spend up to 50% of their time working with the care team itself, dealing with a whole host of issues that plague medical professionals in their demanding work institutional transformation. Reforming existing medical institutions and developing holistic medical care environments where spiritual care is integral are two very important areas of work. While we have seen a number of different initiatives attempt to influence the culture of denying death in medical institutions, specifically the work to scientifically prove the efficacy of spiritual care, the personal power of a sympathetic chief doctor or medical administrator has often been the key for driving change. On the other front, we can see numerous groundbreaking and radical initiatives for Buddhist based care beginning as grassroots initiatives, particularly with marginalized persons. In Thailand, Cambodia, and the United States, Buddhist based care for dying and bereaved persons began in the AIDS communities. Much of the hospice movement, both East and West, Christian and Buddhist, has developed from home hospice care by volunteer groups. It is at this level that perhaps the most radical visions in this volume are presented. For example, the Rigpa Spiritual Care Program has been building religious communities and spiritual care centers side by side where the Buddha?s first noble truth of suffering in the encounter with birth, aging, sickness, and death is part of the very fabric of daily life. This is an area where many of the initiatives we have looked at are actually somewhat undeveloped. Supporting grieving that comes after death is not something that hospitals or palliative care wards are mandated to do, so the wall persists between pre- and post-mortem worlds with grieving families moving on to try to find new communities to support them in the post-mortem process. Many of the initiatives in this volume attempt to support these grieving persons. This is where Japanese Buddhism in particular has critical potential for the ongoing Buddhist hospice movement. The Japanese Buddhist practice of regular memorial services for the dead has served for hundreds of years as a highly developed grief care system uniting spiritual values with the regular practice of remembrance, all connected to a community of support. This is one major area of endeavor that many of the Buddhist hospice movements could further develop and which makes potential Japanese Buddhist contributions to this field highly significant. The spirit of holistic care that runs throughout the hospice movement could invite the extension of hospice care into regular grief care work, thus building a bridge to not only a more holistic culture of living with death but also the subsequent birth of institutions and communities that reflect this culture.